This weeks inspiration is simplicity. I had many ideas for this, however due to many factors none of them came to fruition I am always fascinated by Julie's gorgeous moon posts. I also find them inspiring, so the matter was settled. I love the moon. 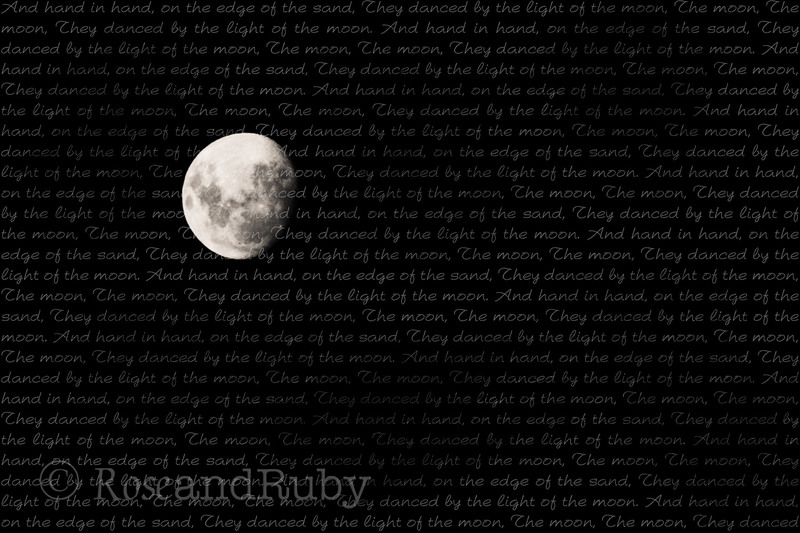 To dance in the moon light is one of my favourite things. Such lovely photo's of the moon. Perfect!!.. I love the third!! although I love them all.. and always loved that poem.. So.. how did you get such a detailed shot of the moon.. It's wonderful..
My mum loves that poem. I've not thought that line through fully until I read your post. It *is* a lovely line, isn't it. Those moon picutres are beautiful. This is soooooo romantic..love pics and lines..this is what I call dreamy..
Did you get to see the super moon the other night? we were clouded in here, so missed it. boo. these are such incredible images of the moon. that is one of my favorite scenes from 'It's a Wonderful Life"
Awesome, I love the contrast of the moon and the black. I also love your choices of poetry and all. Very Creative!!! I love that poem! And these moon pictures are amazing!! Beautiful poem. I love the moon, it's mystery. Thanks for sharing the photos and drop by me too,soon. such wonderful images of an amazing phenomenon....so artfully put together.